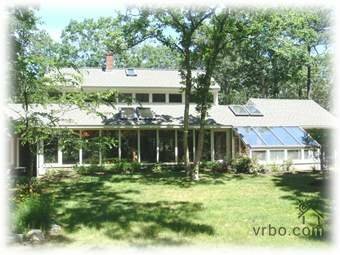 Enjoy a nice Martha's Vineayrd vacation cottage, nicely decorated in summery colors. A central location for easy access to Longpoint or Lamberts Cove beaches. Near Alley's store and the library, farms and horseback riding, kayaking or long walks on nearby nature trails. The house comes fully equipped with all the bells and whistles. A very sweet patio outside allows you to sit and listen to the multitude of birds and watch the butterflys. The garden has beautiful flowers and shrubs. Inside you will love the comforts of this sweet home.